Oncologist Chilakamarri Yeshwant reviews a patient file with registered nurse Lisa Reis, at Sherman Hospital in Elgin. It wasn’t all that long ago that a diagnosis of cancer was considered a death sentence. But in recent decades, the terms “preventable” and “curable” have become more closely associated with cancer. Public awareness and education, major advancements in detection, diagnosis and treatment, along with improved health practices, have changed not only treatment options, but also people’s perceptions of the disease. Still, cancer is in no way conquered. Lung cancer still ranks as the most deadly form, affecting more than twice the number of patients than any other form of cancer in the United States, according to the American Cancer Society. But Dr. Michael Soble, medical oncologist at Advocate Good Shepherd Hospital in Barrington, points out that lung cancer would be easy to prevent if patients just didn’t smoke. People can develop lung cancer with few or no obvious risk factors, Soble says. While it’s nearly impossible to determine why such patients have lung cancer, it might be the result of second-hand smoke or environmental influences. The fact that lung cancer presents no symptoms until it’s fairly well advanced makes it all the more deadly. Treatment begins when a patient’s primary physician orders a CT scan or chest x-rays. Upon confirmed diagnosis, the patient undergoes an MRI brain scan, a PET scan to determine how far the disease has spread, and breathing tests to determine if the patient is healthy enough for surgery. If the cancer hasn’t spread, surgical removal of the cancerous lung sections is the first procedure. If a second marker, called anaplastic lymphoma kinase is present, patients can be treated with newer pills. Prognosis for lung cancer patients depends on what stage the cancer is in when found. Small cell lung cancer is even more aggressive, but responds better to chemotherapy and radiation treatments. While the number of lung cancer diagnoses has leveled off in the past two decades, melanoma (skin cancer) cases are on the rise. 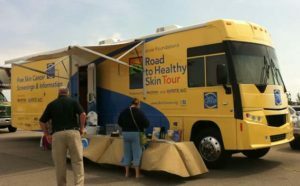 Centegra Health System welcomed the Road to Healthy Skin Tour this summer. The tour team is making more than 80 stops in 24 states to provide free, full-body skin exams. While some patients are predisposed to melanoma because of heredity and skin sensitivity, exposure to the sun’s powerful rays is by far the most common cause. Because tanning beds intensify this type of exposure, they’re considered to be carcinogenic by the World Health Organization (WHO). The adverse effects of too much sun are recognized worldwide as well. This is far different from decades ago, when women wore long-sleeved gowns and carried parasols to counter the sun’s influences, he says. Now, people go outside barely covered at all. Caught early, when it’s shallow, melanoma is easily treatable. But when a cancerous nodule grows deep, the chance that it will spread through the body is far greater. Radiation doses are scheduled on an individual basis, guided by the melanoma type and location. Prognosis varies, depending on the type of melanoma and how early it was diagnosed. A lot depends on the depth of the tumor. “If the melanoma is superficial Stage I, and removed surgically, about 90 percent of patients can be cured,” Smoron says. 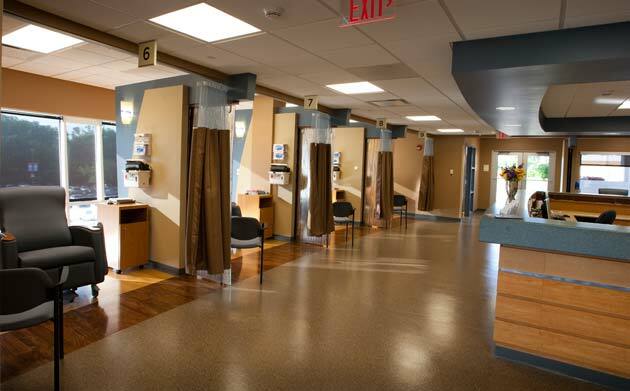 New outpatient treatment rooms at Meadows Cancer Center, Provena Saint Joseph Hospital, Elgin. Survival after treatment is somewhat reduced in Stage II melanoma patients, but if someone is diagnosed with Stage III melanoma, chances of survival drop to between 15 and 40 percent, because of the greater potential of the disease to reoccur or spread. The downside is that these drugs have side effects. One of the new drugs is effective in half of melanoma patients, while the other seems to benefit only about 20 percent. After melanoma, prostate cancer is the most common form found in American men, occurring in 17.8 percent of the population, or about one in six. Until relatively recently, prostate cancer was considered to be unpreventable. Dr. Courtney Coke, radiation oncologist at Provena Saint Joseph Hospital in Elgin, says studies conducted on specific categories of potential patients indicate that certain dietary supplements may reduce one’s risk. That’s good news for men with family histories of prostate cancer. Still, the disease can strike men without warning. Symptoms may include obstructed urination or the inability to completely empty one’s bladder. 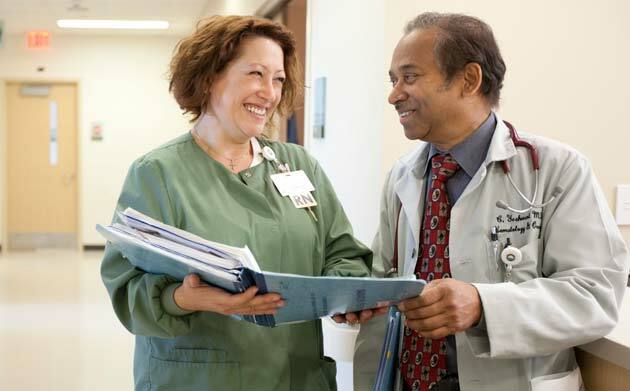 General practitioners who suspect a patient might have prostate cancer order a PSA blood test. If results indicate an elevated risk level, the patient is referred to a urologist and, if conditions warrant, to a radiation oncologist such as Coke. 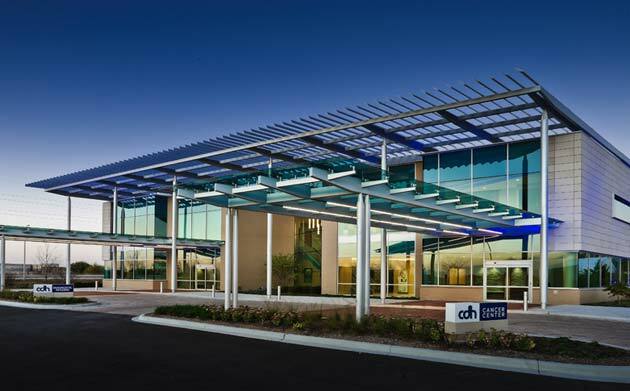 For these patients, intensity modulated radiation therapy treatments using a linac machine are conducted over a period of seven weeks. Coke says a balloon is placed in the rectal area to push aside non-affected tissue. The linear accelerator uses multiple angle configurations to conform to the contour of the prostate structure, to ensure that radiation is applied precisely. Patients may experience gastrointestinal discomfort during the process. A second treatment option involves implanting irradiated seeds directly into the affected area. Treatment is designed to meet the specific needs of each patient. Colorectal cancer remains the third most commonly diagnosed cancer in the world, primarily affecting populations in more developed nations. WHO’s GLOBOCAN cancer statistic report, released in 2010, estimates that, in 2008, 1.24 million new colon cancer cases were diagnosed worldwide, resulting in 610,000 deaths. Of those mortalities, about 24,500 were in the United States. Those people most likely to be affected are between 60 and 70 years of age. The risk of colorectal cancer is significantly lower in younger people. Dr. Heliodoro Medina, a gastroenterologist at Delnor Hospital in Geneva, says there’s no specific way to prevent colorectal cancers, although a healthy lifestyle helps. Red meat, insufficient fiber, smoking and alcohol are believed to influence the development of colorectal cancers. The best way to prevent colorectal cancer is through regular screening, beginning at age 50 and repeated every 10 years, for patients with no family history of the disease. If a family member has been diagnosed with colorectal cancer, the start date for regular colonoscopies is moved back to age 40 and repeated every five years, or to 10 years prior to the age the youngest family member was when he or she was affected by the disease. Considered the “gold standard” screening, colonoscopies find the large and small polyps, which are like little skin tags, wherever they exist in the colon. All polyps are removed and analyzed. 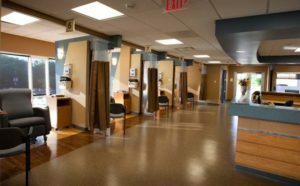 The Cancer Care Center at Delnor Hospital, Geneva, Ill. If the colorectal cancer is isolated to the inside wall of the bowel, surgical resection is the first line of treatment. If the cancer has not metastasized, the cancer is considered cured. But should CT scans and laboratory tests indicate the cancerous cells have spread into the soft tissues of the abdominal region or lymph nodes, chemotherapy may be necessary. Cases of mouth and throat cancers are increasing or being diagnosed more often, says Dr. Chilakamarri Yeshwant, a medical oncologist at Fox Valley Hematology/Oncology Ltd. About 52,000 new cases are expected to be diagnosed in the United States in 2011, representing about 3 percent of all new cancer cases. 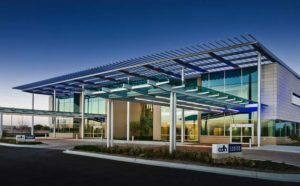 The patients Yeshwant sees at Sherman Hospital in Elgin have more advanced cancers, requiring a combination of radiation and chemotherapy treatments. The human papilloma virus (HPV) that’s linked to uterine and cervical cancers also appears to be connected to mouth and throat cancers. Patients who are carrying or have been exposed to HPV 16 are at higher risk for cancer of tongue and tonsils. Epstein-Barr virus also is implicated in head and neck cancers. Mouth cancer can be detected during routine dental appointments, during which the patient’s mouth is examined closely for white spots or lesions that can be precursors to cancer. Because cancer can hide in many nooks of the mouth and throat, careful examination not only of the mouth, but of the entire throat, by an ear, nose and throat (ENT) specialist, is needed, to rule out cancers of the head and neck. Patients are usually referred to an oral surgeon or ENT specialist, who will first biopsy the area. Once cancer is confirmed, the patient will need additional surgical intervention, with or without radiation, based on the location, stage and patient’s medical condition. Patients can have as much as half their tongue removed and still be able to function nearly normally, because of significantly improved surgical techniques. But when the cancer spreads through the lymph nodes, patients need more aggressive treatment. Today’s tumor-killing radiation doses are more precisely delivered, sparing healthy tissue and reducing harsh side effects that include damage to the skin, mucous membranes and the esophagus. This entry was posted on Wednesday, December 21st, 2011 at 12:00 pm	and is filed under Health & Fitness, Top Posts. You can follow any responses to this entry through the RSS 2.0 feed. Both comments and pings are currently closed.